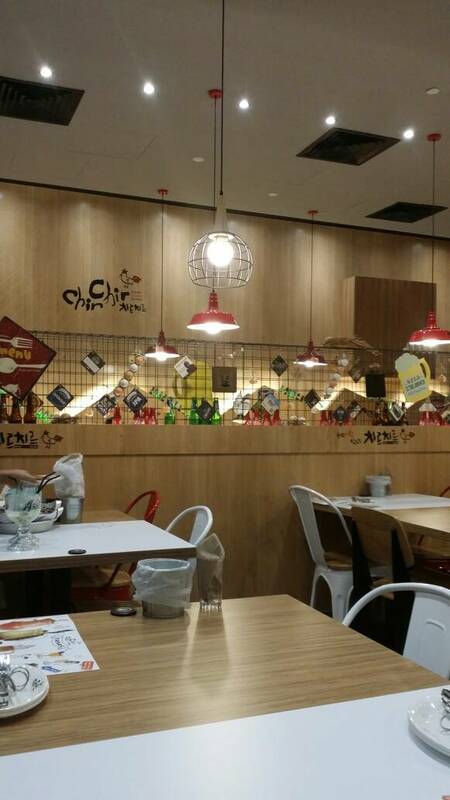 Have you guys tried Chir Chir Fusion Chicken Factory at Pavilion Elite? It’s a Korean joint that sells mainly fried chicken cooked in many ways! It has many branches around the world. I glanced through the menu and they even had a dish called Honey Butter Chicken which looked a lot like a dessert. I wonder how that would have tasted. I could have ordered it but it was only the three of us. The place was pretty comfy and is suitable for gatherings between colleagues after work. They had Kpop music videos as well, if you’re a fan of it. This dish costs about RM62 and it’s pretty delicious. It consists of fried chicken, mashed potatoes at the bottom and WHIPPED CREAM? The whipped cream actually made it taste better albeit a little weird. The base is a cheesy cream sauce together with some vegetables. This one’s really spicy! 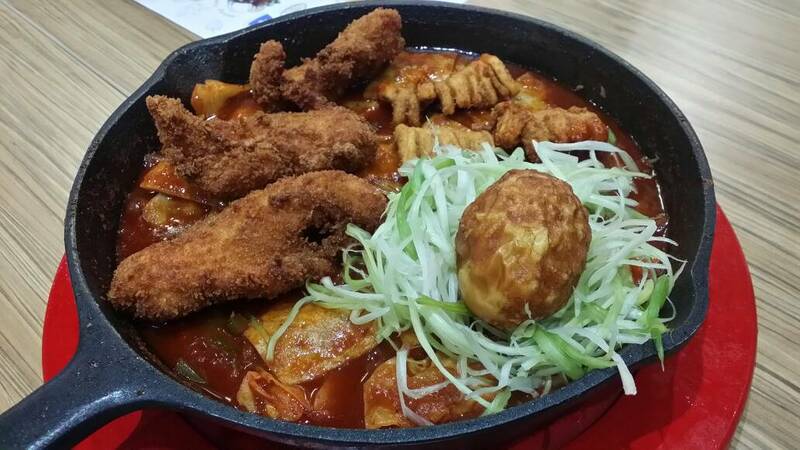 It’s dobokki (rice cake) with fried chicken, cuttlefish, egg and other ingredients cooked in a spicy sauce. This one was about RM30 as the chicken costs RM8 to top-up. Personally, I liked the first dish better as I loved the combination of cheese and fried chicken. The chicken was of course deep fried to perfection. Nothing to flaw here. The second dish was good as well and the sauce was rather sweet. However, it’s a little spicy and it’s not suitable for those who can’t take spicy food. They had interesting drinks as well, i.e. combination of soju and soft drinks. 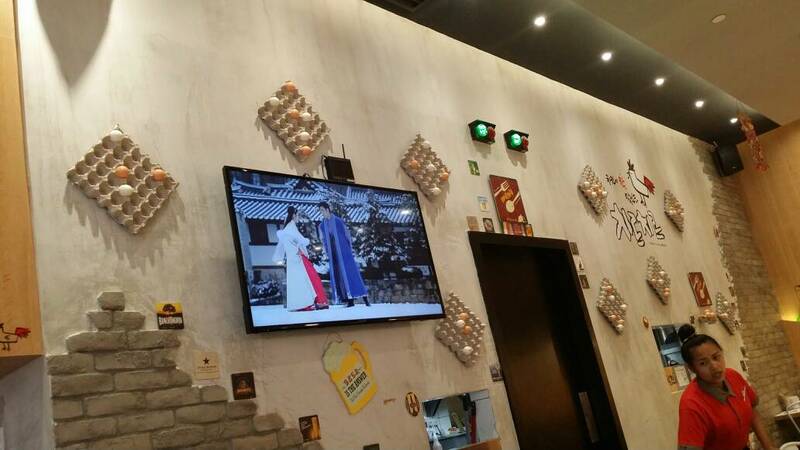 It’s similar to other Korean bistros that I’ve tried. Have you guys tried Chir Chir Fusion Chicken Factory? What are your personal reviews? Let me know in the comments below! Do check out my other food reviews as well! That fried chicken dish looks delicious! Seemed kind of pricey though, $20 Canadian for the plate. Is it expensive in Malaysia? I’ve never been there yet. Yeah I feel that Korean food is generally pricey. I went to Seoul once and I had to spend around that much per meal. It’s definitely expensive as far as Malaysia goes.